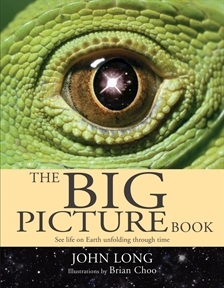 Dr John Long is a palaeontologist and a writer of fiction and nonfiction for children, including The Big Picture Book of Human Civilisation. We interviewed Dr Long about writing nonfiction, and you can read some of his answers in the spring 2010 issue of Alphabet Soup magazine. We couldn’t fit all of his answers in the magazine—so we thought we’d post the whole interview here. Read on! Using my imagination and trying to think of new ways to present information that is engaging and inspiring to my readers. I also love that moment when your new book comes out and you get to hold it in your hand. Currently I’m living in Santa Monica, a beach-side town within Los Angeles in the USA. It’s a great place with plenty of open space, where mountains meet the Pacific Ocean. It’s a groovy neighbourhood to be part of. Yes a white fluffy cat called Molly. We saved her from the RSPCA cat haven and have recently flown her over from Australia to be with us in the USA. I reckon she must be the first member of her family to travel overseas! She loves watching squirrels and hummingbirds from our balcony. You’ve written fiction and nonfiction books for children. What’s different about writing a nonfiction book? Writing nonfiction means you have to be accurate with your facts and figures, so there’s a lot of research work goes into making sure everything is correct. This often involves me ringing up professional friends who have specialist knowledge in some fields, or checking library references. Was it easy to get your first book published? It took quite a bit of work. I had an idea to write a book about Australian dinosaurs back in 1989 and wrote a sample section and did the drawings myself then sent it off to a number of publishers. After a few months I received an letter from a publisher saying they liked the idea and wanted to offer me a contract. 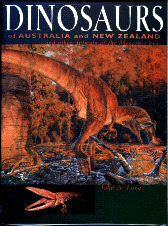 That book, Dinosaurs of Australia, was published in 1991 and has been reprinted 2 times since (1993, 1998). Are there any downsides to being a writer? Yes, sometimes you commit to writing a book and as the deadline draws closer to deliver the final manuscript, you realise you have a lot more work to do, so you end up writing at nights and working all weekends to meet those deadlines. Also once the writing is done and you have your book in press with a publisher, you then have a lot of subsequent work checking proofs and organizing illustrations, and permissions for using artwork, which can also take up lots of time when you least expected it. I loved The Hobbit by Tolkien and also The Lord of the Rings but I only worked my way through the latter in my teenage years. How do you do your research for a book? 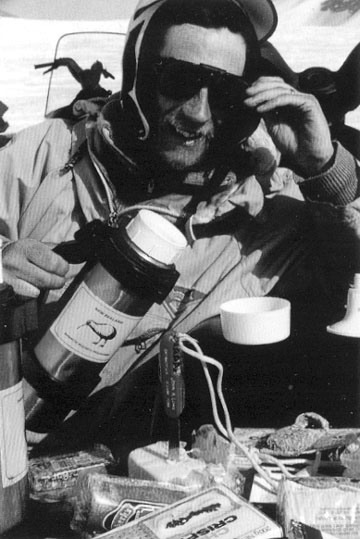 As a scientist (paleontologist) by trade I am already accomplished in doing research work. I know that I can search databases for primary information from scientific and history journals, search museums collections for suitable objects to illustrate my writing, and can even ring up other experts in the field to get information or arrange to have my writing checked for accuracy. 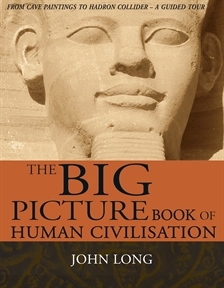 When you write a book like The Big Picture Book of Human Civilisation, do you have to find your own photographs and images for the book? As I have travelled the world extensively I sometimes draw upon my own images for some of my books, but most are sourced from photo libraries or as images form museums that the publisher can buy for use in a book. I use many of my own photos in both The Big Picture Book and The Big Picture Book of Environments but none of my own shots were used in The Big Picture Book of Human Civilisation. I love reading, exploring new places and bushwalking in wilderness environments. Of your own books, which is your favourite? Probably the book I am most proud of is The Big Picture Book, as I’ve received a lot of great feedback about it from both children and teachers in Australian schools when I give talks. Would you like to have lived in another point in history? No, I’m very happy living with our present levels of medical science and advanced technology right now, thank you very much. Are you working on a book at the moment? Can you tell us something about it? Yes I’m nearly always working on a new book at any time. I want to explain in very simple language for children How Do We Know Stuff? How do you know when you read something in the paper, or on the internet or see it on TV that it is likely to be true or an approximation of the truth? So much information in the media is simply not accurate, and I want to provide kids with a bit of a roadmap to be able to decide for themselves how to determine the accuracy of information they find. Do you have any advice for young writers (and in particular young writers of nonfiction)? Yes, make sure you first know how to find reliable (i.e. accurate) information and then think about how you want to get it across to the reader in ways that haven’t been done before. Writing is much like speaking, if you can communicate vocally well you can generally write well. The trick is how you present your information to make it exciting and engaging, and this is where time is needed for thinking. Practise writing at any chance you get, the more you write, the better you become. Subscribe to Alphabet Soup magazine via our website.